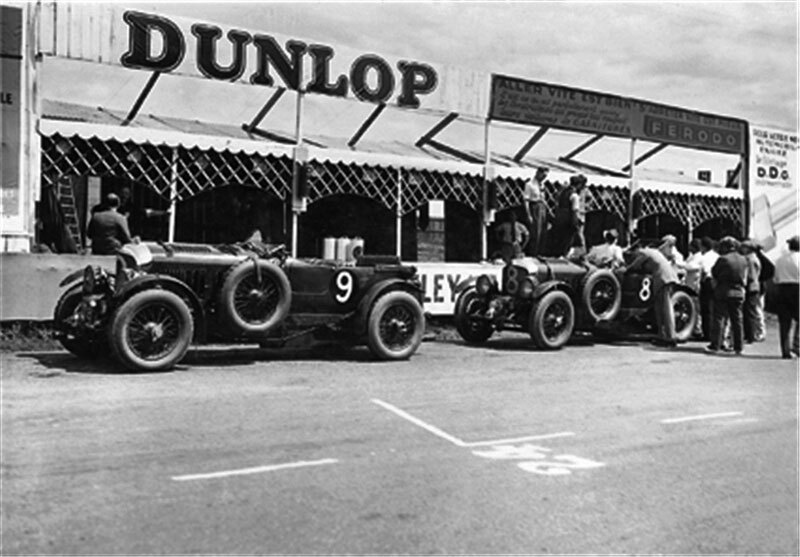 The 1930 24 Hours of Le Mans was the 8th Grand Prix of Endurance, and took place on 21 June and 22 1930. This is a picture from practice day, showing Team Hon. 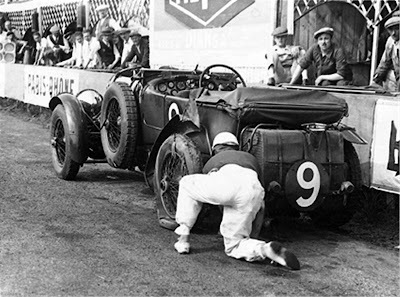 Miss Dorothy Paget, consisting of car Number 8 driven by Dr. Dudley Benjafield and Giulio Ramponi, being a Bentley Blower with a Bentley 4.4L Supercharged I4 engine, and car Number 9, driven by Sir Henry 'Tim' Birkin and Jean Chassagne. Their car was also a Bentley Blower with a Bentley 4.4L Supercharged I4 engine. There was an epic dual between both Bentley Blowers and car Number 1, a 7.1L Supercharged Mercedes-Benz SSK driven by Rudolf Caracciola and Christian Werner. All three cars ended up not finishing. Car Number 8 completed 144 laps coming in in 10th position, and car Number 9 completed 138 laps coming in in position 11. Here is Sir Henry "Tim" Birkin working on his blower on race day. 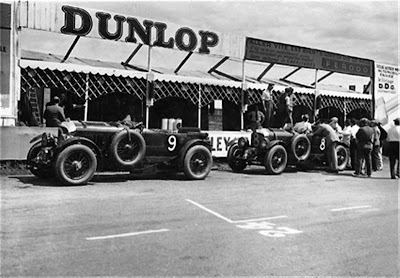 Team Bentley who entered Bentley Speed Six models with Bentley 6.6L I6 engines came in first and second, with car Number 4 driven by Woolf Barnato Glen Kidston winning having completed 179 laps and car Number 2 came second, driven by Frank Clement and Richard Watney completing 173 laps. 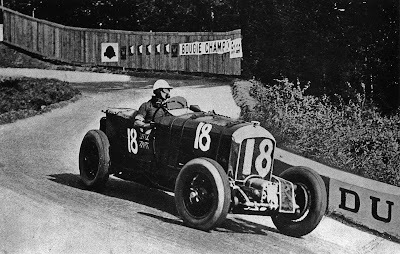 Later that year on 21 September 1930 Sir Henry "Tim" Birkin completed in the French Grand Prix at Pau, Pyrénées-Atlantiques, again in a Bentley Blower. Here he is taking a corner on race day.